The Youtube video of the SupraDrive power supply emitting the magic smoke has generated a few comments which are very helpful. Photos of power supply top and bottom below. Even before looking at the power supply the unit was definitely doing some strange things and making strange noises which may indicate the power supply was not in a healthy state. 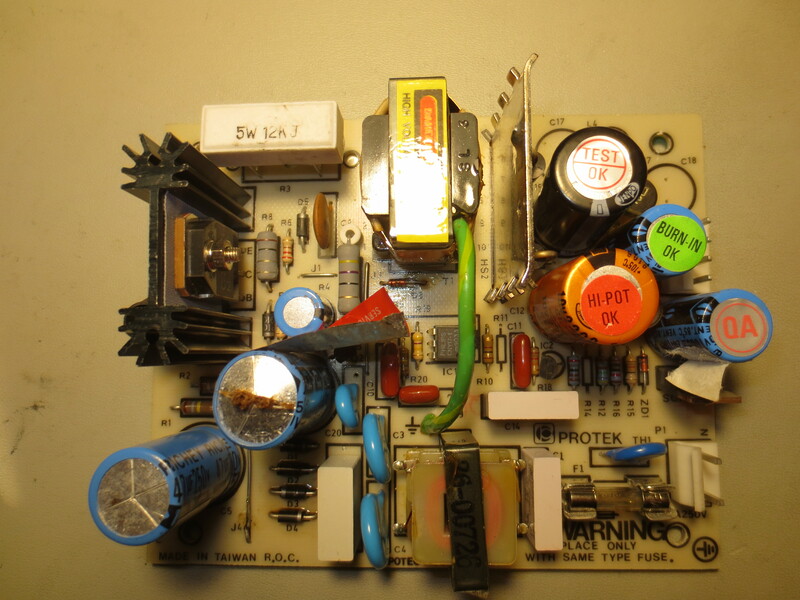 I removed all of the electrolytic capacitors and tested them with an ESR meter and all seemed within spec. Because I did not have new replacements on hand I installed the caps back into the board. That was when I noticed a broken jumper. 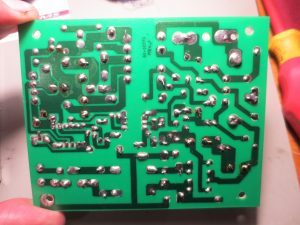 I soldered this to repair it. As pointed out by ElectronAsh, this jumper may have been disconnected by design. Disconnect jumper for use with 240V mains power which is what we have in New Zealand. This is likely but it just needs to be confirmed. 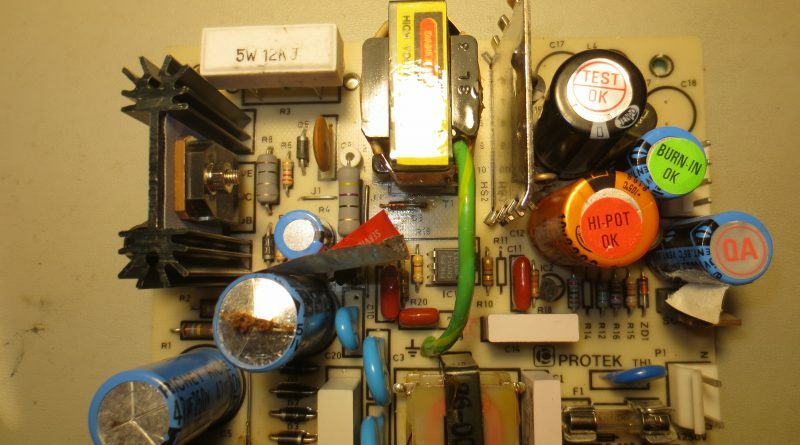 I have ordered replacement capacitors so after confirming what should be done with the jumper I will install the new caps and test the power supply fully prior to connecting it to the Syquest drive. Look out for part 2 of the video. Looking at the pictures, it is clear the leftmost two blue caps have inflated over the years: the blue plastic which covers them does not reach as far to the center as it does with the other caps. The small blue cap above them seems ok as its cover still reaches quite deep at the top while only a thin area is covered for the too big ones. One tip which helps notice these subtle signs of cap “inflation” is to draw a line with a marker at the top of the cap which goes from the perimeter of the top to the center.